Jenny Israel lives in Stony Brook, NY on Long Island. She began her spiritual path in 2009. 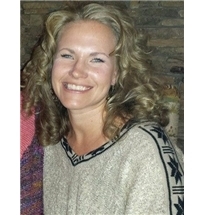 She is an Advanced Reiki Practitioner, a Certified Professional Life Coach and a Young Living Essential Oil Therapist. She is active in her healing and teaching practice. Jenny shows us that by developing the ability to connect the powerful passion within ourselves with the unique and perfect gifts that we each have, we can find our inner purpose and truly live with Joy and Love in our hearts. Through a complementray interweaving of her conventional life coach training and the art of Energy Therapy, she allows each of her clients to experience a vibrational expansion of self that connects them to life from a Heart-Centered perspective. It is the synergy of all of these modalites that allow us to move into a life lived in total wellness: body, mind and soul. To learn more, visit her facebook page at www.facebook.com/jennyisraelcpc or visit her website atwww.jennyisrael.wordpress.com. To contact her directly, email at jenny.israelcpc@gmail.com or call 631-495-2276.